This Catlin Health Insurance Company review was not able to uncover any single insurer by this precise name. For this reason, the remainder of this article explores Hamilton, Bermuda-based Catlin Group Limited. Catlin underwrites health insurance as part of its specialty insurance practice. The company writes customized insurance solutions that encompass a diverse array of risk, including personal accident, catastrophe treaty, and medical expense coverage. If you are looking for health insurance information, you have come to the right place. Enter your zip code to get fast health insurance quotes to save money on your health insurance. Save money on health insurance rates today! The company’s insurance coverage includes individual or group general personal accident lines; ship’s crew member personal health and accident insurance; travel/trip insurance (including international medical care and transport in an emergency); aviation professional (including loss of license); medical expenses; organ transplant; war and terrorism health and accident; and key person insurance. Catlin Group Limited is licensed to do business in 30 states. The company writes specialty, property & casualty, and excess and surplus insurance lines. The company’s acquisition of Wellington Underwriting (as manager for a large Lloyds syndicate) has helped Catlin Group Limited to increase and expand Catlin US operations in the past several years. These offices are available to help clients around the world to identify and manage health insurance and specialty risk solutions. Catlin Group Limited also writes global specialty property & casualty and reinsurance lines, and is engaged in the underwriting of about 30 business lines. The company’s underwriting offices in the United States, Bermuda, United Kingdom, Canada, Asia Pacific, and Europe help clients with multinational locations consolidate insurance coverages. Catlin Group Limited employs approximately 1,600 actuaries, claims, legal, and underwriter specialists to serve clients around the world. Clients of the Catlin Group Limited should anticipate high caliber customer service, according to the company’s website. Catlin Group Limited’s customer service goals include timely response to your claim submission; an understandable time line of next steps; an individual claims representative to assist in the submission of the claim; a claims team to support rapid resolution of the claim; fair evaluation of the claim; and updates about claims status. Clients in each of Catlin Limited Group’s regions may submit a claim or request service via the company’s regional claims team website (Asia Pacific, Bermuda, United Kingdom, and Europe websites) including Catlin US (http://www.catlinus.com/Contact.aspx); general claims ([email protected]); and Canada ([email protected]). Catlin US Insurance Company also underwrites coverage for the Catlin Insurance Company UK Ltd. as well as the Catlin Syndicate at Lloyds of London Syndicate 2003, according to the company website. A.M. Best has rated Catlin Insurance Company, Catlin UK, and Catlin Specialty Insurance Company (which underwrites health insurance) “A” (Excellent), Financial Size Category XV ($2 billion or higher). The Catlin Lloyds Syndicate has also been rated “A” (Excellent) by A.M. Best. Standard & Poor’s rates the Catlin Lloyds Syndicate “A+” (Strong). The company is publicly owned, and its shares trade on the London Stock Exchange (Symbol: CGL). 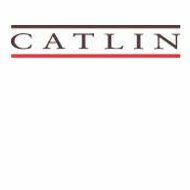 Catlin Group Limited’s global market value is approximately $1.47 billion, according to Dun & Bradstreet. Catlin Group Limited competes most often with Aviva plc, AXA (UK), and RSA Insurance. The company competes with Zurich Financial Services, Allianz, Royal Bank of Scotland, AEGON, Chubb Corp., ING, QBE, Kiln Holdings, AIG, Hardy Underwriting Bermuda, Friends Provident, Legal and General Group, and Prudential on a regional basis. The health insurance industry is not considered a growth business. That is one of the reasons that health insurers actively compete for individual and commercial business accounts of other insurance companies. If you purchase health insurance, you know that health insurance rates are going up. Comparing your current health insurance rates with free competitive health insurance quotes can help you save money. Enter your zip code to get fast, comparative health insurance quotes right now! They did not reply to costumers requests, I asked them for physicians whom they cover, and I sent the letter about their coverage, but they did not reply well. They try to reject patient requests, so do not pay the bills. It is not fair.